This concrete floor pads has very high polishing speed and no scratches, glossy polishing surfaces, with a longer life, simple operation, durable resin compound. The 4inch good quality concrete floor pads applys to granite, marble , concrete and other stones, provide a high efficiency and remarable performance polishing with water. 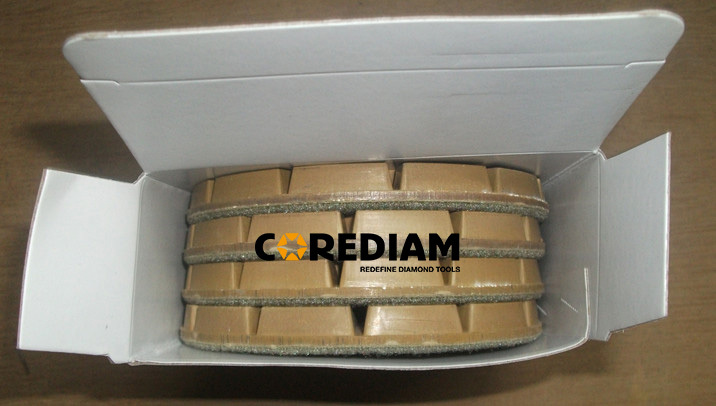 diamond floor pads for concrete polishing can be used on hand helded grinder and floor machine. Sample delivery : if we have stock, the delivery time is within one week after we got your sample payment. Looking for ideal 5Inch Concrete Diamond Floor Pads Manufacturer & supplier ? We have a wide selection at great prices to help you get creative. All the 5Inch Diamond Floor Pads for Marble are quality guaranteed. We are China Origin Factory of 5 Inch Pads for Floor Polishing. If you have any question, please feel free to contact us.